IN GATEWAY BLDG, CORNER OF 2ND & PENN STS AT END OF PENN ST BRIDGE. NO FREE PARKING AVAILABLE. PAID PARKING IN GARAGES LOCATED AT THIRD AND WASHINGTON STREET AND IN PARKING GARAGE BEHIND BUILDING. 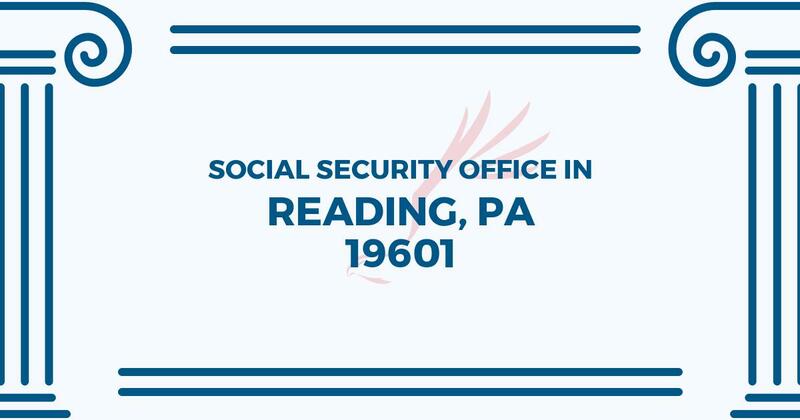 The Reading Social Security office is located in Reading 19601. The following page includes information for this location like the office phone number, hours of operation and driving directions. If you have any interests or comments about your retirement benefits or are interested in making an appointment, call the following Reading Social Security office. The Reading Social Security office is located at 201 Penn St Ste 200. The Reading office shares information, help and services handled by the Social Security Administration. The following page contains information for this location like the office phone number, hours of operation and driving directions. If you have curiosities or comments about your retirement Social Security benefits, or you need to schedule an appointment, contact the Reading Social Security office.